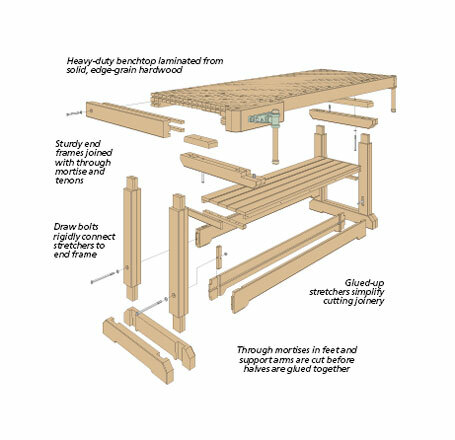 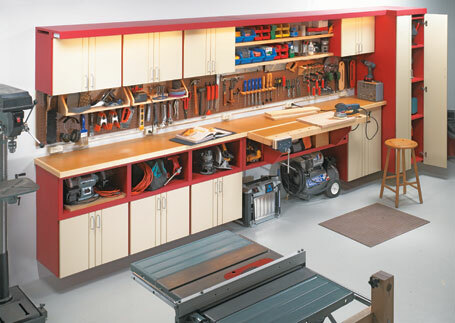 A good workbench has three attributes. 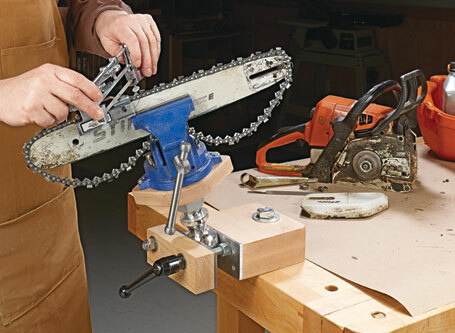 First, it’s sturdy enough to take a pounding, literally. 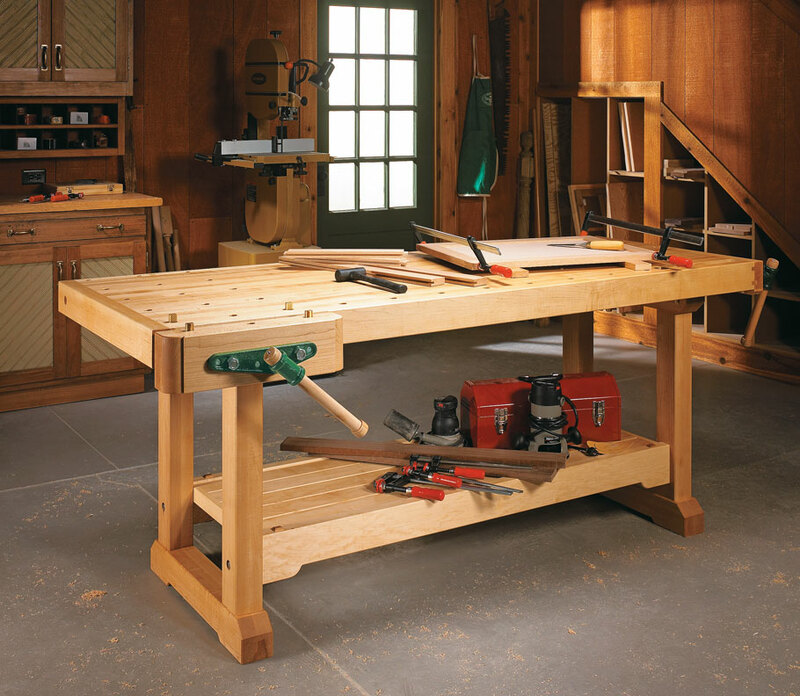 Second, the top provides enough worksurface to accommodate all the tools and materials needed for the job at hand. 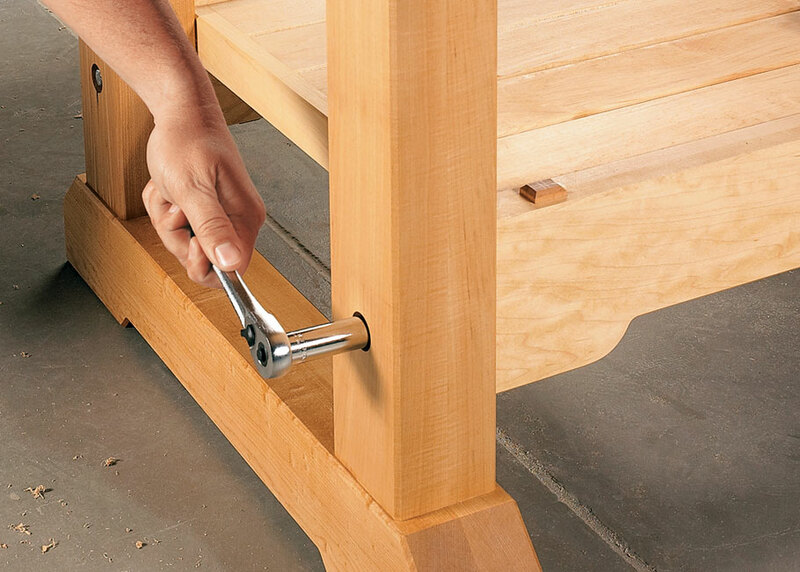 And finally, securing a workpiece on the bench is quick, easy, and foolproof. 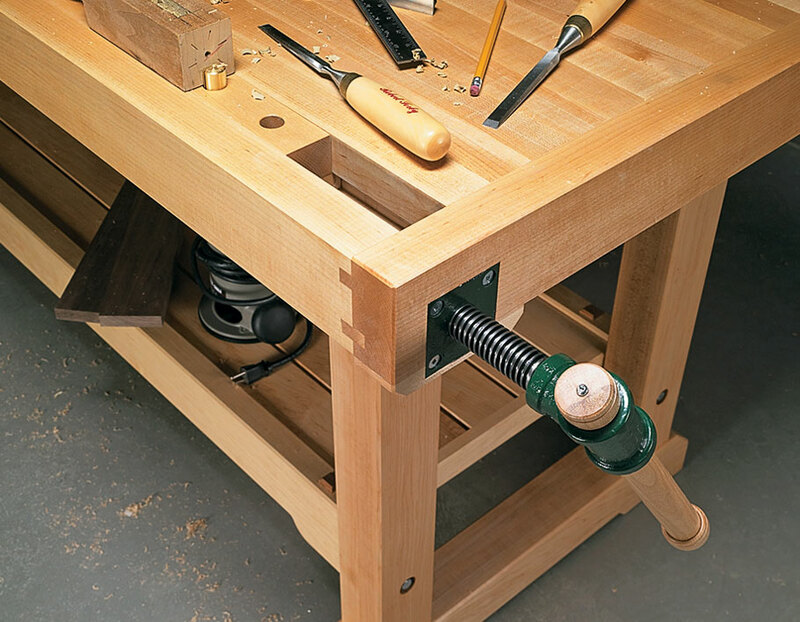 This workbench passes the test and then some. 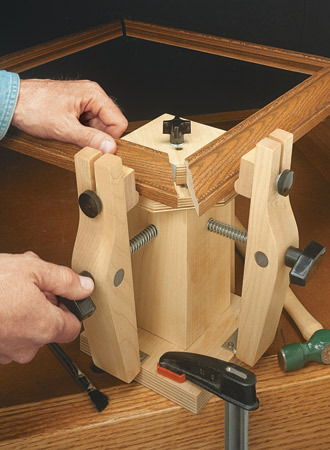 A design option for replacing the solid-wood top with a less expensive MDF top.